NOTHING IS ACCURATE in the article! If you look at google trends you will see that for every search for a quartz countertops search there are 3 searches for granite countertops. This tells me that more interest in granite. 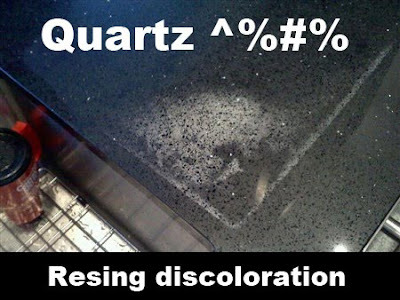 quartz countertops are boned with plastic, call it epoxy, polymer, whatever you want. Take a piece of colored plastic and subject heat, sun and other chemicals such as bleach or other acids to it. Hit is with permanent markets and other high staining products.. Amazing material but it will be affected by color fade and other factors. The reason quartz is non porous is that its bonded with this plastic wrapping around the "quartz", glass, sea shells or whatever they put in the plastic. We work with fabricators all over the country. 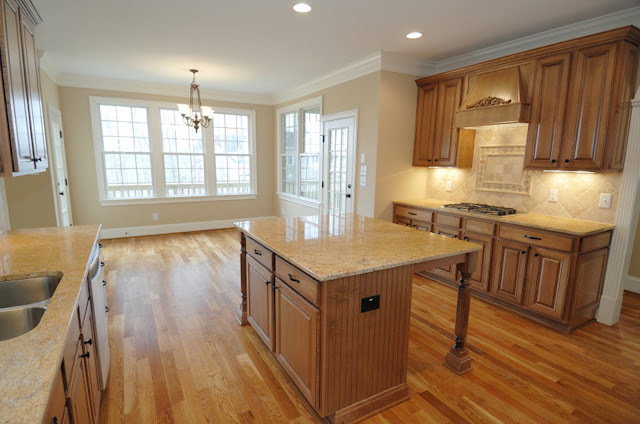 We market granite and quartz countertops. People are interested in quartz but when it comes time to put out the money granite is what is being installed. The price points in this article are extremely dated. Granite sealers are basically addressing the pours that are found in natural stone and covering and filling the surface with a plastic like coating. @donna maria Kuhn point ... Get the material that you want and like. Designers are motivated by style, money, and trends. It’s your kitchen, You have to use it. Make sure that the material has the qualities and values that you need. Granite has the staying power because its perceived value is so high among the masses. The reason for this is that granite is natural, heat resistance naturally, stain resistant naturally, and very durable due to the heat and pressure that created it. Every slab is naturally unique and the colors and textures are naturally very impressive. This is why laminate and quartz companies try so hard to mimic granite in the look.